How do you get your target users hooked onto your research output? Which tools are most eye-catching? How can you sustain interest, and help people absorb and learn from your work? What will really make an impact with a policymaker? ‘Research communication’ has been around for a while, and some research centres shine at these skills. But capacity in many other centres is only just emerging, and we all have plenty still to learn about optimising ‘research uptake’. The research centres participating in ELLA reflect this mix of abilities. 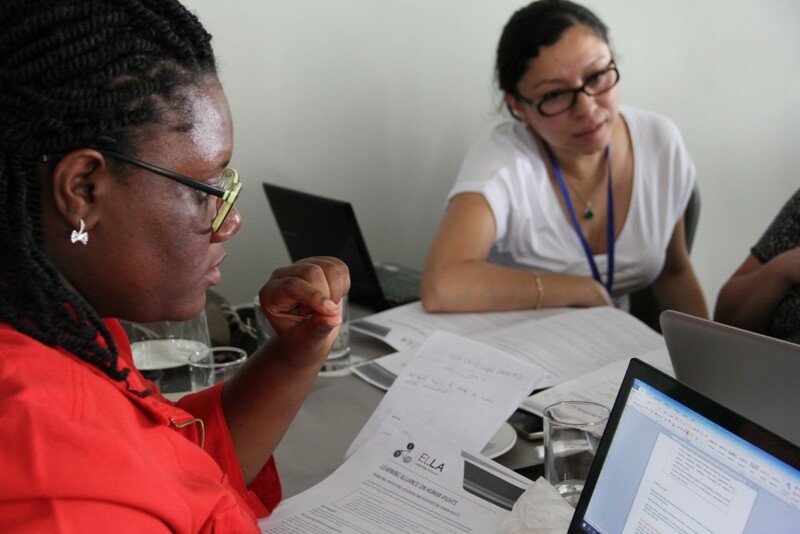 With this in mind, the ELLA programme has mainstreamed research uptake in its work, emphasising the engagement of target research users throughout the research cycle. At the outset and during the research, the advice has been: invest time with users to ensure you produce something they will want, co-produce with them, ask them for inputs – such as data – and get them to feedback on any interim results. 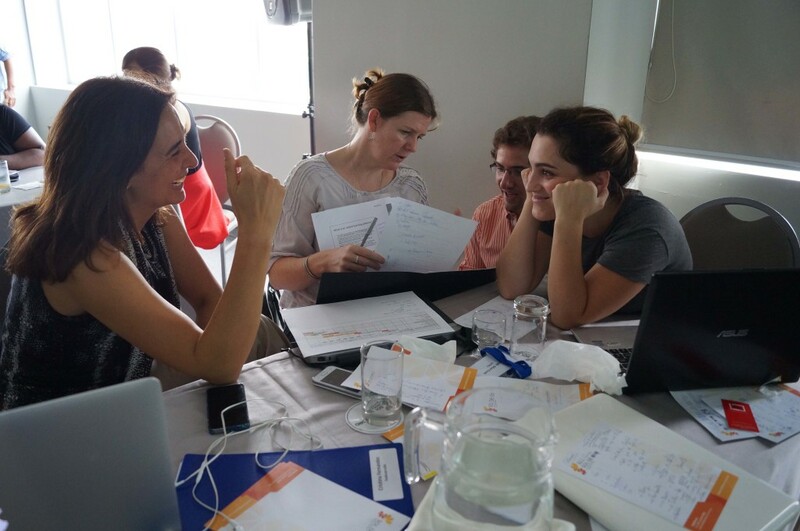 But as the research output was coming on stream, we also ran an internal online learning programme, to take research centres through the main tools and processes for maximising the chances in the uptake and impact of that research – culminating in a Research Uptake workshop in Lima, in late February. 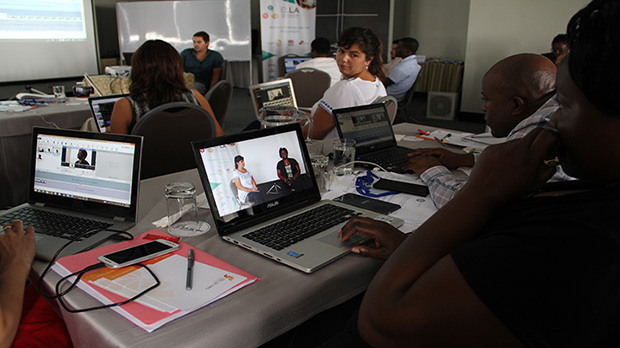 Nearly 30 researchers and communications specialists attended from twelve Latin American and African countries. Each research centre also to conduct offline, face-to-face events (meetings, workshops, conferences), with key target users of the research, focused on policymakers, other decision makers and those involved in policy debates, at the country level. The workshop lasted four days. 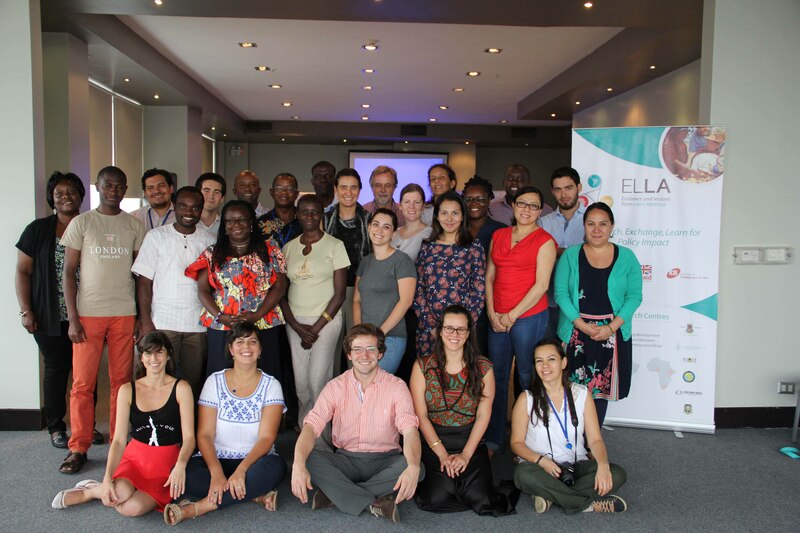 We spent almost two days on setting up the ELLA Learning Alliances: on the shape and content of these, on developing the ‘curriculum’ outline and materials, on managing the platform, and on facilitating exchange and learning in online communities. If you are going to use the infamous Policy Brief, again be clear about your main audience: will one format really work for “policymakers, practitioners and researchers” or are you speaking to yourself? Five tricks for shooting an interview video (a) sound is number one, use (low cost) dedicated or directional, not ambient mikes (b) try three point lighting: main/key (the window? ), side/fill (use a white board for bounce) and back lighting (a bulb) (c) frame the shot(s) to tell the story (d) use a tripod/rest with say two smart phone video cameras (these are good enough) (e) prepare your script – and shoot! Editing videos is for the more digitally comfortable, but is a life skill, and cheap but professional packages are available such as VideoPad Video Editor. Video your events, and livestream them using for example YouTube streaming for those who cannot attend. Such tricks can go a long way to helping disseminate your research, and to making it accessible to your intended target users. Previous Previous post: How do you compare Latin American and African development experiences?